Spring has finally sprung. The tulips and daffodils are brightening up our garden and the grass has received its first cut of the year. As the days are growing longer, so is the list of great things that I've heard about recently. Here's a few I think you'll like. For a young lad, Adam Hoban is a very busy boy. He started writing a food blog, then developed his love for food into a business making preserves, chutneys and condiment. And he's in college too. With 16 products in his range, including a delicious whisky & ginger marmalade and an Eastern inspired Apple & Pear chutney, there's a flavour to suit every palate. The Purple Pantry is at the Honest2Goodness market in Finglas every Saturday or you can order online. Prices start at €2.80. 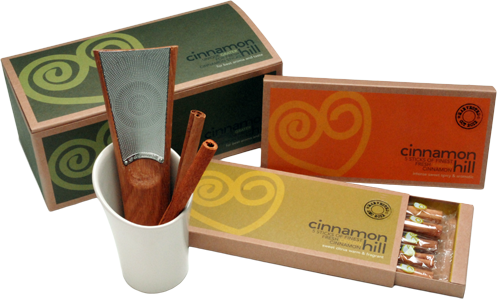 Cinnamon Hill's Original Cinnamon Lover's Pack arrived on the desk recently and it's a far cry from the usual three little sticks in a jar format we're used to. A beautiful honey oak grater with a ceramic cup holder and two packets of fresh cinnamon sticks from Ceylon and Saigon have transformed my humdrum morning porridge, added warmth and depth to roasted butternut squash and brought fresh life to my carrot cake. £52 for the pack or £6 for the cinnamon sticks alone. This has to be one of the cutest ideas I've seen in ages. An afternoon tea to takeaway and enjoy as a picnic in the park or a treat at home. I'd probably eat it in the car on the way home! With 24 hours notice, you can enjoy homemade roast Spiced Beef sandwiches, Cucumber and Dill Cream Cheese on soft white bread, Lemon Sponge Loaf, Pistachio Macarons, Red Velvet cupcakes with Vanilla Cream icing and White Chocolate and Strawberry Tarts. And the cost? 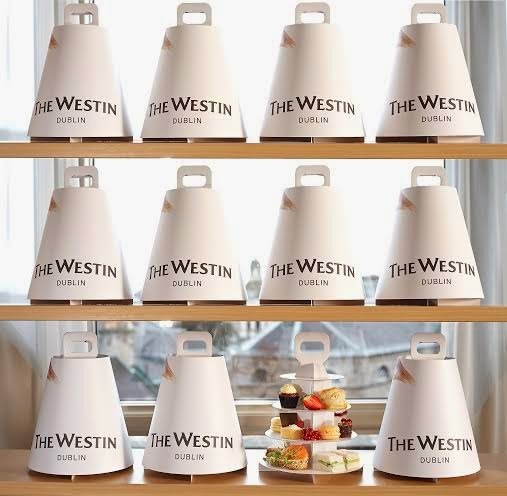 €19.95 per person. With the demise of Nespresso's stranglehold on the coffee capsule market, there's now lots of choice. 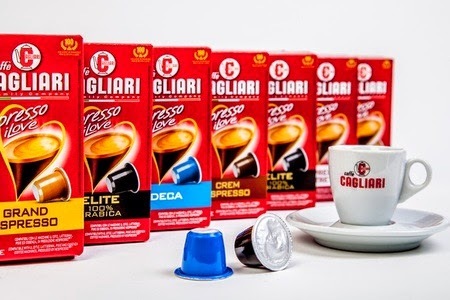 Caffe Cagliari are an Italian coffee company from Modena and with over 100 years experience, have really good coffee. I was very pleasantly surprised by the Deca espresso which was rich with a great crema and indistinguishable from the real thing. The range of 5 capsules costs £2.99 per box of 10. It's no surprise to anybody who reads Babaduck that I am a Francophile. Last year was my all time record with three trips - one for work and two for fun and this year there (very sadly) looks like none. When the March box from Bonjour French Food full of delights from Brittany landed on my desk, I was instantly transported to the land of the crepe and cidre. First out was a Kouign Amann, a cake which is mainly butter and a bit of flour to hold it together. Oh, the smell! Next was a trio of jars containing pork rilettes, sardine rilettes and lamb pate. The perfect lunch with a baguette and salad. Finally, more sweet treats - a jar of Fleur du Sel caramel and Sable biscuits with more caramel. 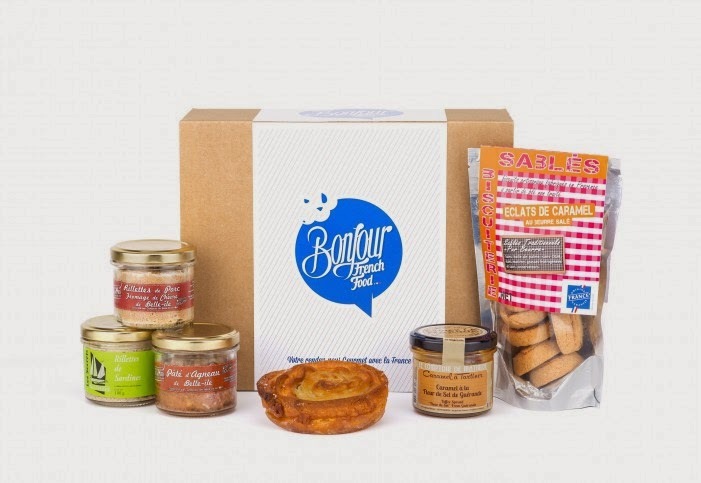 Bonjour French Food is a monthly subscription box of gourmet delights for you or to share as a gift from £29 per month. Thanks for sharing these items here.